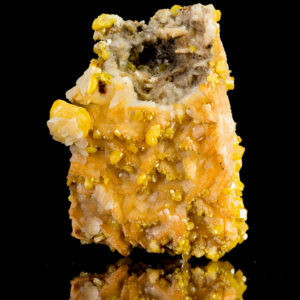 This is a good specimen of Tarnowitzite, a lead rich variety of Aragonite. 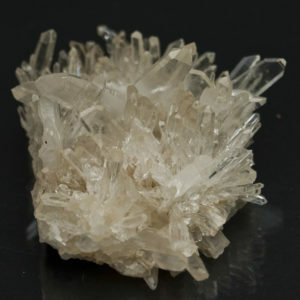 The Tarnowitzite crystals are opaque to translucent milky white and have a waxy luster. 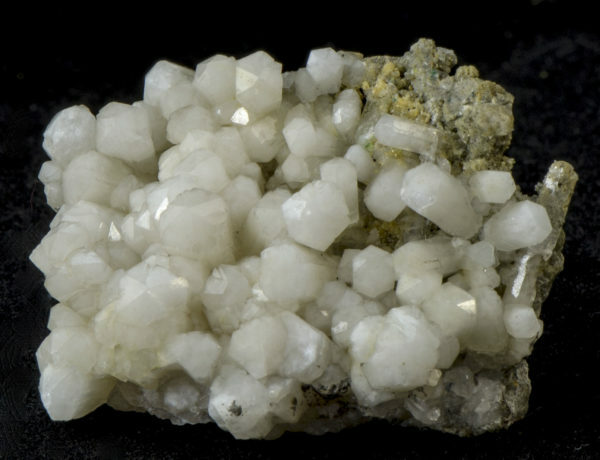 From the now closed mines of Tsumeb that produced so many distinct and unique minerals. There is no damage to the crystals, only broken edges where it was removed from adjoining crystals. 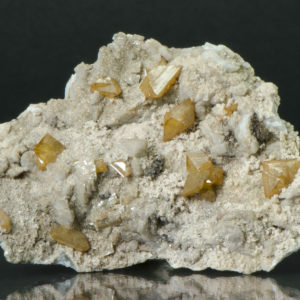 On one corner the crystals are included with another yellowish mineral, possibly Mimetite.